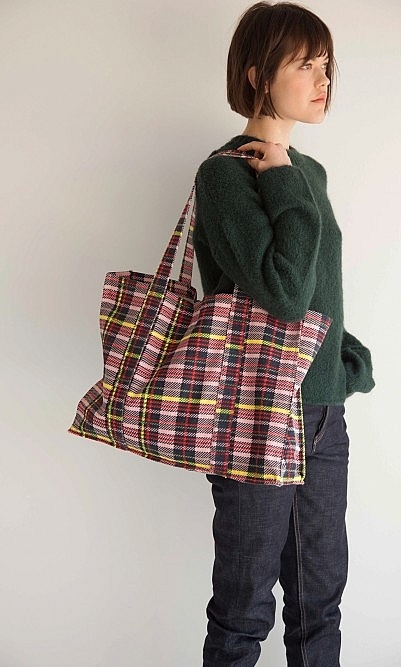 With a nod to the ubiquitous laundry bag, this shopper is made from sturdy woven canvas in a zingy pink, red and yellow check. Magnetic stud closure. Interior slip pocket.